This salad is pretty straightforward to assemble so I haven’t included any weight measurements. To bake the Feta crumbs, heat your oven to 180C then crumble the Feta onto a greased baking tray. Season with pepper (no salt) and dried oregano then drizzle over a tiny bit more olive oil. Cook for about 15 minutes or until the Feta crumbs begin to turn a very pale golden colour. 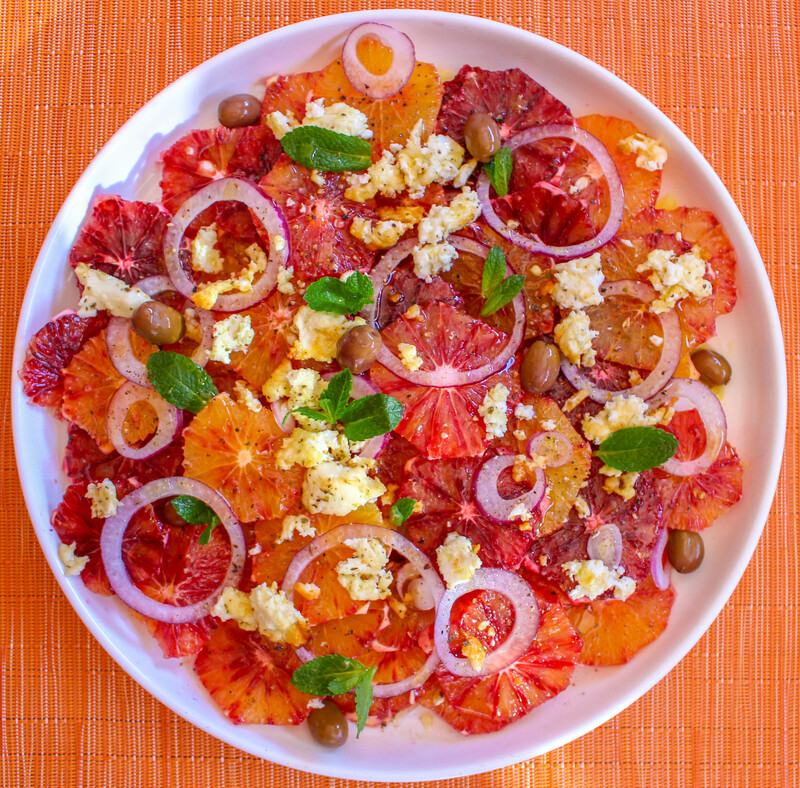 To assemble the salad, slice the oranges and arrange on a plate as shown in the photo above. Dress the salad with some salt, pepper, white vine vinegar and olive oil. 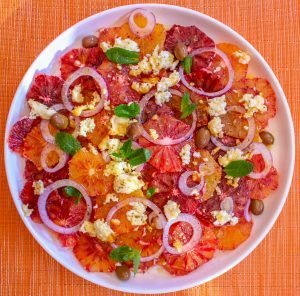 Decorate the plate with Feta crumbs, olives, red onions and mint. Finally drizzle over some runny honey and serve.